Soprano Sydney Anderson, left, will sing the title role of Queen Esther. Bass Dean Murphy, above right, sings the role villain, Haman, and tenor Luis Aguilar, bottom right, is Mordecai. The story of Esther, the brave woman who saves her persecuted people from death, has enduring appeal. In it, King Ahasuerus of Persia is convinced by his treacherous minister, Haman, that the Jews within his realm are a source of trouble and must be destroyed. Neither is aware that Esther, the newly-chosen queen, is herself a Jew. Esther’s uncle, Mordecai, persuades her to reveal her identity to the king. Captivated by her beauty and courage, the king vows to punish anyone who seeks to harm her, and Haman ends up caught in his own trap. To this day, these events are celebrated at the Jewish holiday of Purim with boisterous noisemaking and hamantaschen, fruit-filled pastries in the shape of Hainan’s three-cornered hat. There’s also the Purim Spiel, or Purim play, in which the story of Esther is reenacted, often with references to current events. In fact, Handel originally described “Esther” not as an oratorio, but a “Masque”. At that time, a “Masque” not only included disguises, but allegory, in which ancient tales represented the people and events of the time. 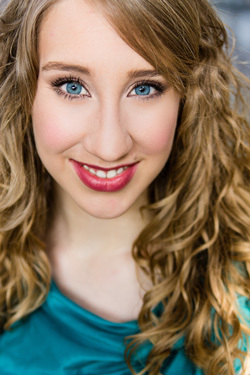 Soprano Sydney Anderson will sing the title role of Queen Esther and bass Dean Murphy will sing the role of Haman. 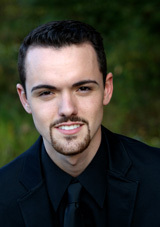 Tenor Luis Aguilar will sing the role of Mordecai and tenor Wilson Nichols the role of Ahasuerus. Chorale members R’el Rodriguez and Julia Babcock also have solo roles.